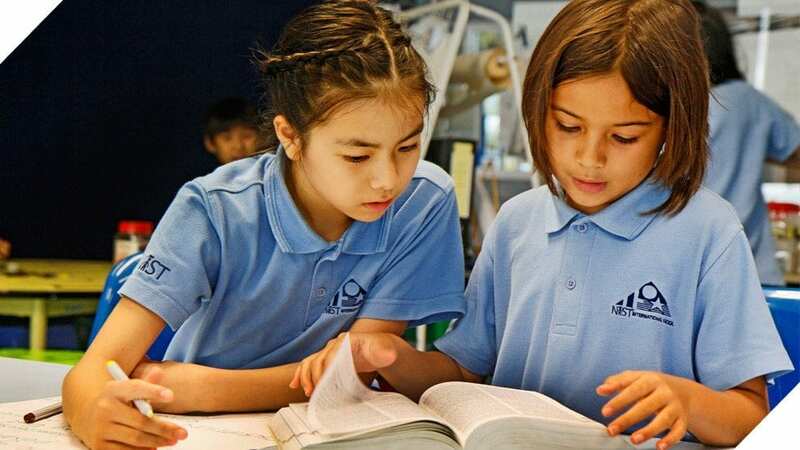 Language is fundamental to learning, thinking and communicating, and is a component of the whole PYP curriculum. In addition to learning language, students use it as an essential tool for learning other important content. Because of our diverse community, NIST has a special responsibility to recognize and support language development to ensure that all students are provided with the environment and the necessary language support to enable them to participate fully in the academic programme and in the social life of the school, as well as to develop as individuals. All teachers in the PYP are considered teachers of language. Language learning plays a major role when the language(s) of instruction may not be the student’s first language, and we try to support the development of the mother-tongue language alongside English as the language of instruction wherever possible. Language learning takes place in authentic contexts, and literature plays a special role in enabling this to happen. The strands of oral, written and visual communication are learned across and throughout the subject areas, so that their purpose and relationship to language as a whole are reinforced at all times. The MYP language and literature course is inquiry-driven and aims to ensure all students have a thorough grounding in at least one language that will enable them to study in language and literature in depth, and also use a sophisticated level of language in the core and other academic areas. The course promotes a reflective approach to the study of language and literature. If students have become proficient in two (or more) languages in the MYP, they may be eligible for a bilingual diploma in the DP. MYP language and literature equips students with linguistic, analytic and communicative skills that can also be used to develop interdisciplinary understanding across all other subject groups. Students’ interaction with chosen texts can generate insight into moral, social, economic, political, cultural and environmental factors, and thus contributes to the development of opinion-forming, decision-making and ethical-reasoning skills. The DP offers a comprehensive range of language courses in two groups. Students may study one group 1 and one group 2 subject, or two group 1 subjects. Most students will continue to study their MYP A Language from English, Thai, Korean, Japanese, German or Mandarin. The fee-paid Community Languages Programme also provides opportunities for some students to study their mother tongue through a private arrangement.